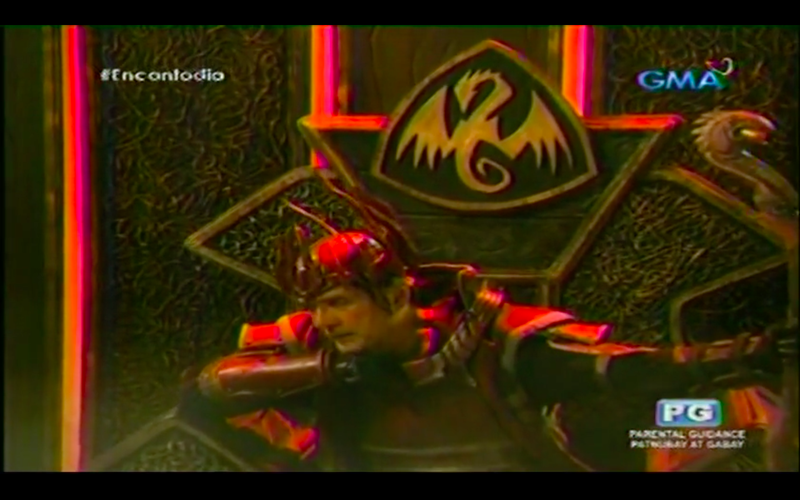 Encantadia is a pretty weird experiment in retelling a well-known story which makes this pilot an interesting and confusing experience for someone with limited knowledge of the original. Save for the dreariness of the opening, the impressive amounts of camp manages to carry Encantadia to the end of it’s MASSIVELY IMPRESSIVE ~40 MINUTE AIR TIME HOLY MOTHER OF GOD HOW THE HELL DO PEOPLE MANAGE TO WATCH THIS EVERY DAY WITH ADS. No wonder the sets and props look like they were sewn together from the remains of a Super Sentai production (i.e. Power Rangers) from 10 years ago! There’s some interesting mythology going around that is wasted by how uninteresting and uninspired Marian Rivera and Dingdong Dantes are on screen. Even their romance is handled in a weirdly detached and cold way. It’s almost as if the audience is asked to fill in their relationship in the story using their knowledge of their actual relationship in real life which makes absolutely no sense. Seriously, you have all the air time in the world, make a vignette or something. Encantadia feels like it could be good but is hampered by its marriage to an absolute train wreck of a format (daily ~40 minute episodes). With a similar budget but a massively pared down episode list, the production values could actually turn out to be really good. The writing isn’t bad enough to be unsalvageable, in fact, it isn’t bad at all. Most of the shoddy dialogue is usually explained in-universe by the fantasy setting and the “worldbuilding” isn’t as heavy-handed as I expected. Not much could be said on a thematic level since the premiere was more concerned about setting up the power struggle in the realm and introducing the ensemble. Speaking of which, DADS. ENCANTADIA’S FATHERS ARE ABSOLUTELY WONDERFUL. THEY MUNCH UP THE SCENERY AND STRAIGHT UP SLAUGHTER EVERY OTHER THESPIAN WHO HAPPEN TO BE IN A SCENE WITH THEM. WOULD WATCH A SERIES WITH JUST ENCANTADIA DADS 10/10 END OF ARTICLE. ps. Nothing angered me more about this pilot than this nanny. SERIOUSLY EVERYONE CAN WE GET KIM KARDASHIAN ON THIS NANNY BECAUSE SHE NEEDS SOME EXPOSING. pps. Because some people care about numbers I’m giving this a 7/10. Recommendation: watch Thunderbolt Fantasy.